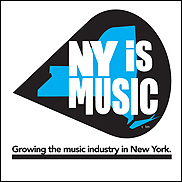 NEW YORK (Hypebot) – On November 12, New York Is Music partnered with NYS Assemblyman Joseph Lentol to host a roundtable discussion focused on the coalition's first initiative: gaining support for the passing of the Empire State Music Production Tax Credit. The bill was introduced by Assemblyman Lentol in hopes of rejuvenating the Empire State's increasingly lackluster music industry scene. The bill would allow businesses as well as individuals recording and/or producing music a 20% ($60 million) income tax credit on expenditures relevant to music creation. The roundtable discussion drew many of New York's finest industry leaders all of whom helped the coalition make significant progress toward their goal of seeing the bill through to implementation. New York Is Music was co-founded by William (Bill) Harvey (William Harvey Studio) and Justin Kalifowitz (CEO of Downtown Music Publishing) in hopes of increasing awareness of the music industry’s economic impact, advocating for local and state initiatives that retain and grow jobs; promote music education; and support the preservation of New York’s rich multi-cultural music heritage. Kalifowitz told the New York Times "The epicenter of the global music industry was New York, for as long as anyone can remember, and now that’s slipping away. That’s something we have to stop." Thus, New York Is Music. “I’m thrilled with the glowing reception we got at our roundtable about the Empire State Music Production Tax Credit – from panelists and our music industry peers, alike. Our roundtable helped make significant progress with bringing others on board, and provided a lot of great new ideas as to how we’re going to build a diverse and viable music industry ecosystem across the state. Passing the Empire State Music Tax Credit is the first step needed to ensure that New York stays as the global music capital. Roundtable participants discussed the current state of New York's music industry, the challenges facing the industry both locally and statewide, and discussed options for positive adjustments for the future. Binta Brown – Lawyer, Entrepreneur, Musician. The proposed tax credit is not the first of it's kind for the Empire State. New York implemented a tax credit program for film and television totalling $420 million dollars, from which, the Empire State Music Production Tax Credit plan is modeled. New York is also not the only state attempting this route of music industry revitalization. Louisiana passed The Sound Recording Investor Tax Credit, providing a 25% tax credit for recording products made in the state of Louisiana. Perhaps a move fellow states could and/or should consider? The next roundtable discussion will be held in Albany in January 2015.